The BC20-03003 Foot Switch Cable allows for the BC Biomedical ESU-2400 Series of electrosurigcal unit analyzers to remotely trigger Covidien Force Triad Electrosurgery Generators. This cable is not only convenient, but helps to ensure safety during testing. 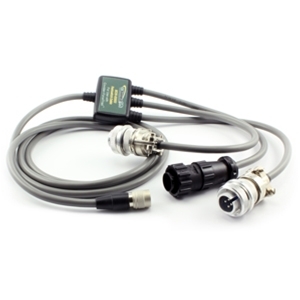 While in RF Measure mode and RF Leakage mode this cable allows the user to trigger the generator via an on screen foot switch button, initiating outputs such as CUT or COAG. With the BC20-03003 Foot Switch Cable, the ESU-2400/2400H also is able to trigger the generator during Load Curve Testing, which saves the operator time by eliminating manual triggers.